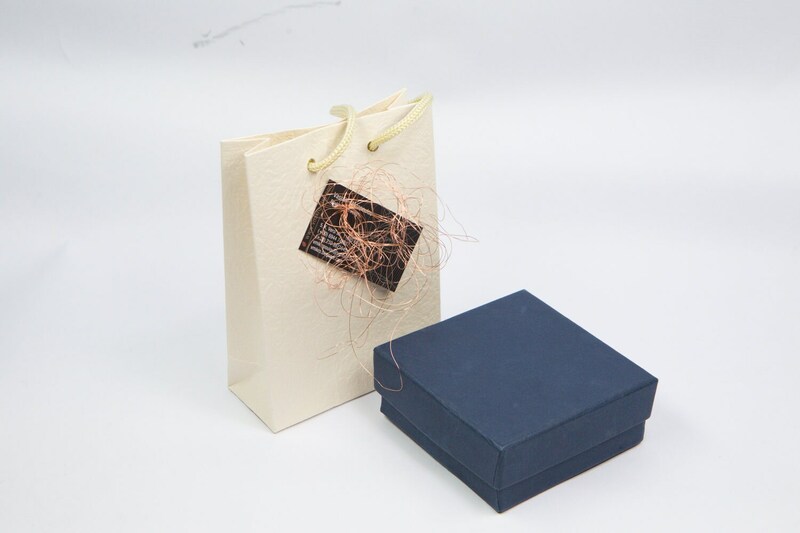 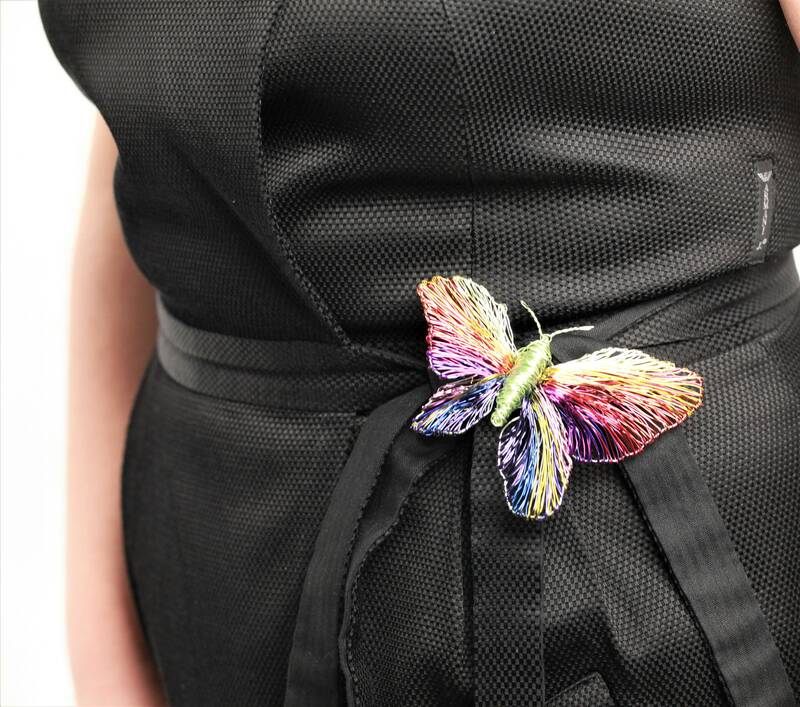 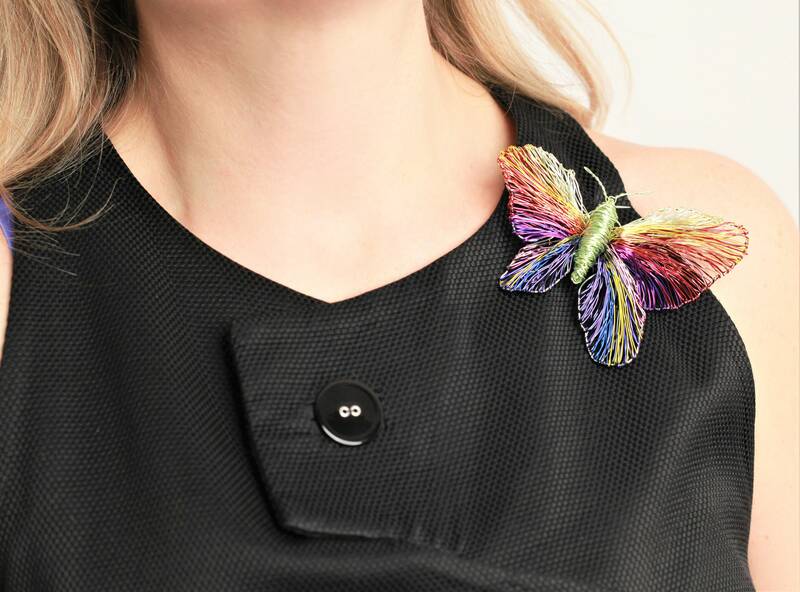 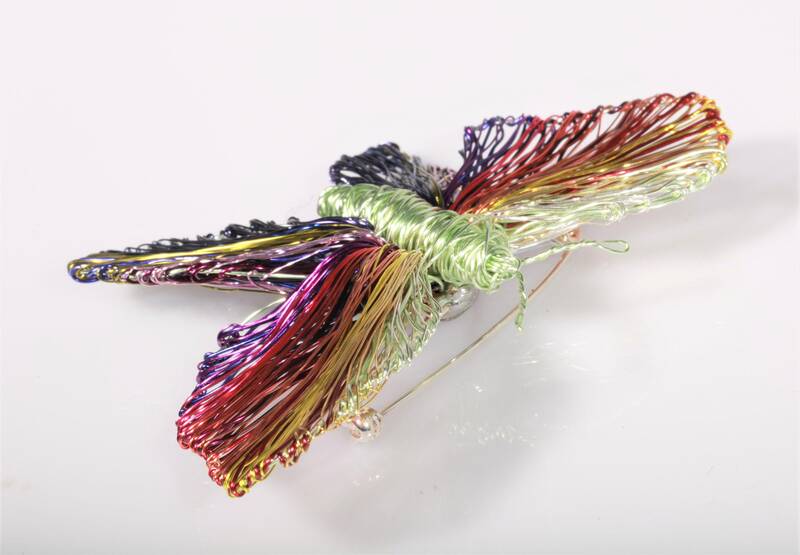 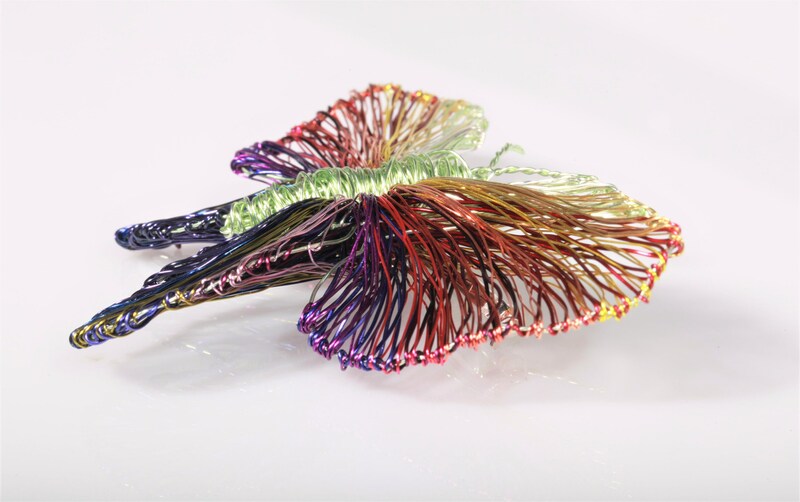 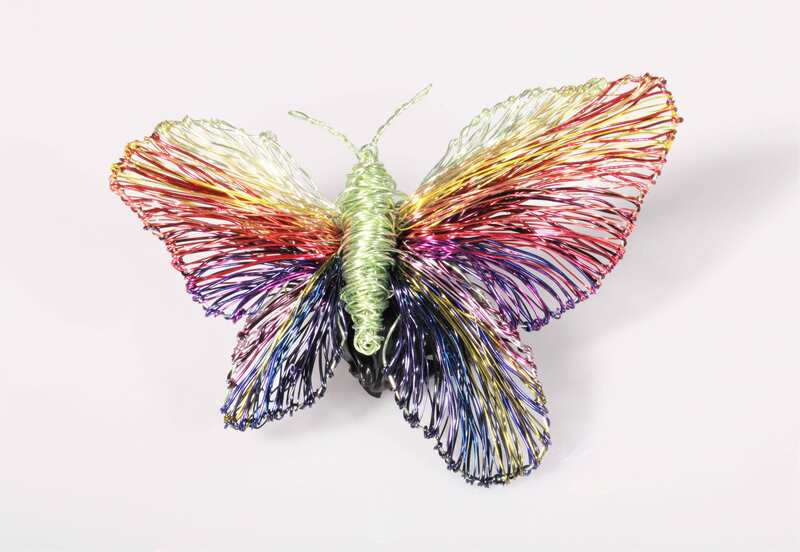 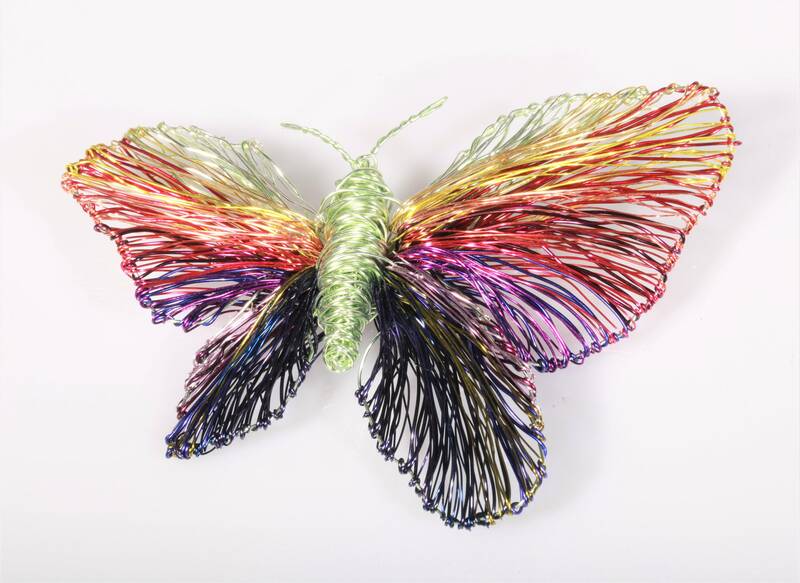 Butterfly brooch made of colored copper wire. 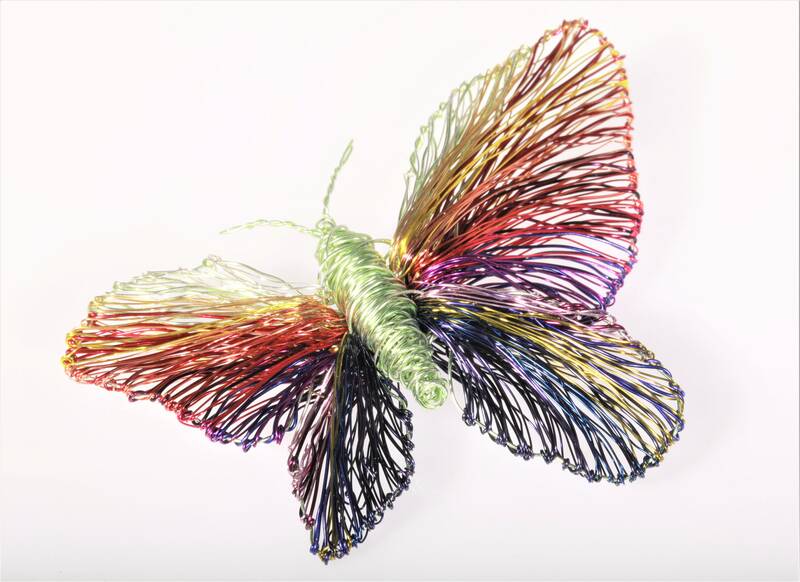 The height of the rainbow butterfly is 8.5cm (3.35in) and the width (body with wings) is 9.5cm ((3.74in). 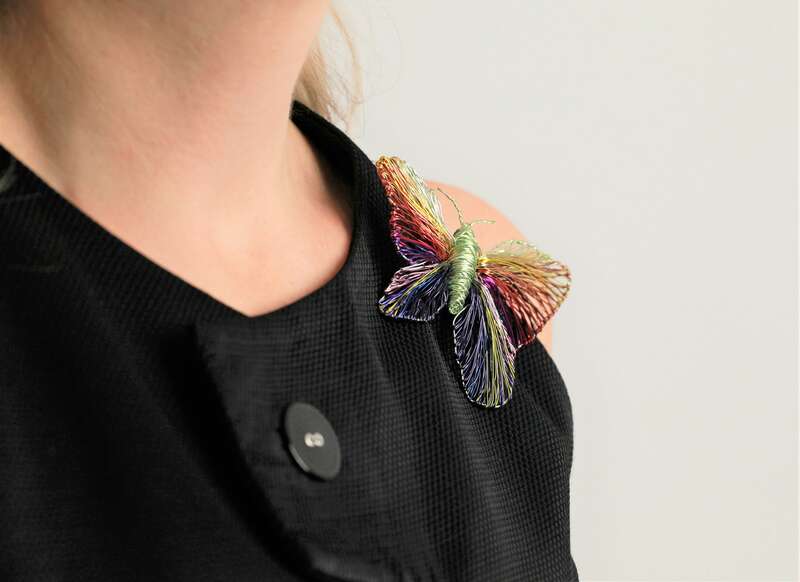 The pin of the insect is silver.